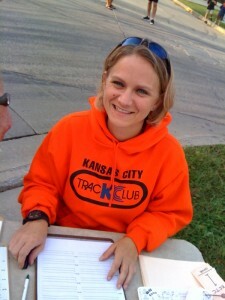 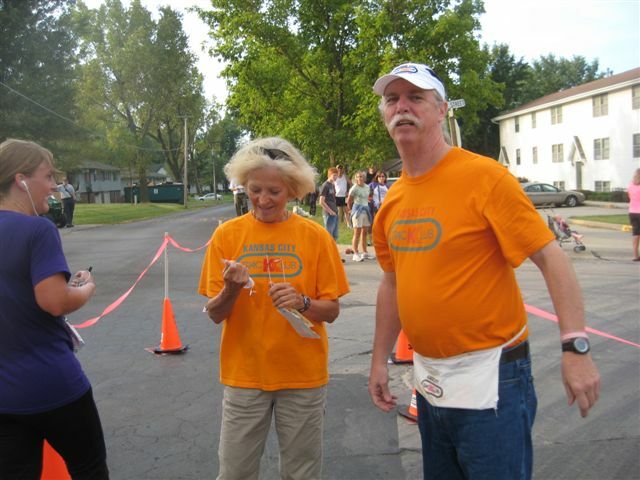 Melissa doing the results the old fashioned way – by hand at the Jesse James 5K/10K in Kearney, MO. 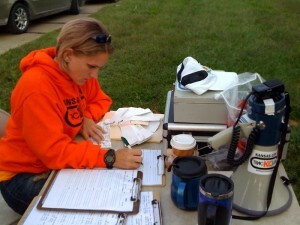 KCTC was punching in times, pulling tags and tallying results like back in Jesse’s day. 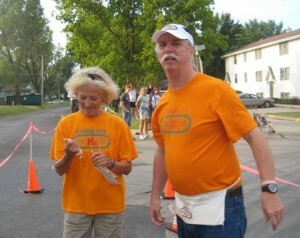 BTW Jesse is buried in the cemetery just across from the finish line and the 10K goes by his farm.